Crewe Orlando Venus Coffee Table. Available in a choice of laminates (Please use the drop down box to choose your laminate colour). Please allow 2-3 weeks for delivery or ring 01270 630280 for details. 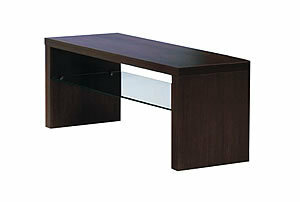 Venus coffee table in picture is in Chocolate laminate. height 40cm, width 80cm, depth 40cm.